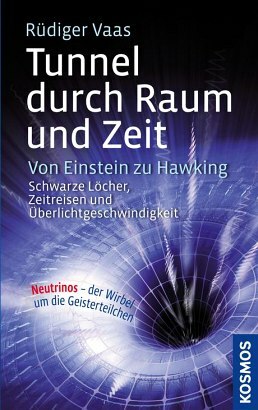 Product information "Tunnel durch Raum und Zeit"
Is time travel possible? Can black holes really open the door to other universes? What once seemed to be purely science fiction, is today being explored by scientists as a very real possibility. Cosmology expert Rüdiger Vaas investigates the audacious theories of Einstein, Hawking and many others, researching the latest understanding of black holes, time warps, the big bang and the theory behind these concepts. An exciting journey through the mysteries of space and time. Rüdiger Vaas is scientific reporter and astronomy and physics editor of the popular monthly magazine ‘Pictures of Science’. He is an accomplished connoisseur of modern cosmology, a subject on which he has published several books and lectures worldwide.